It’s all over! 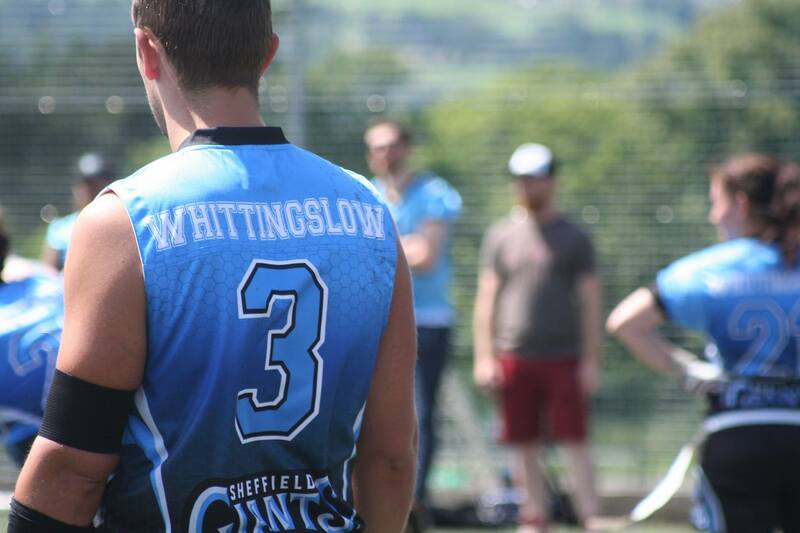 In an incredible season, we’re delighted to announce that Sheffield Giants captain and QB Dean Whittlingslow has won the top QB award from the MEC! The GB lion has had a marvellous campaign, leading to the Giants to the playoffs with the top scoring offence in the MEC conference. Dean impressively avoided negative plays all season, with only 9 interceptions thrown and 5 sacks taken. He utilised his awesome offensive weapons to their maximum ability, as Josh Allen, Tim Darracott and Luka Fadrique had excellent seasons with Dean slinging the ball around. Dean was arguably at his best when the lights were brightest. Though he’ll shoulder much of the blame in the winner-take-all loss to the Blackhawks, he negotiated the minefield of the MEC with little fuss. 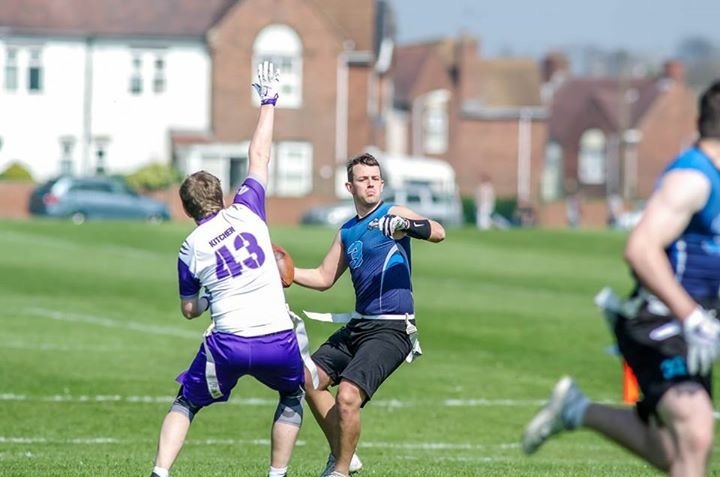 His performances against his division foes were beyond impressive, as he threw 12 TDs against the talented Honey Badgers and a another 12 against the vaunted Sheffield Vipers defence. A last second drive against the former was needed to secure a huge win in the MEC South, and Dean came up clutch. Against the upstart Manchester Titans, Dean turned in a dominant display with 8 TDs. At Big Bowl XI, Dean’s calm under centre was required again as he stepped in for the London Barbarians when James Woodward went down injured. He helped the Barbarians finish 4th overall at the first time of asking. Congratulations Dean on your tremendous season, and your inaugural MEC QB of the Year award! Alan Mead finished runner up after having the lead for the first week of the season. He might have finished some way off the top spot, but he can be delighted with how his season has gone. The Titans have become a force in the MEC, finishing third in the MEC for points scored. Alan had the second most TDs in the season and least number of sacks taken for the regular QBs in the division in large part thanks to his quick release. Keith Woodley added the exclamation mark to his MEC Crusaders call-up with a sensational season for the Vipers. The Glenurquart transplant lead the second best scoring squad in the MEC to another playoff spot, which has been a routine for the green half of Sheffield. Keith will look to continue his excellent form into the post-season and beyond. Keith managed this exceptional output despite missing a number of games for the Vipers. Finishing just behind his former Gladiator teammate is Ewan Miller. Ewan, like Keith, will be ruing a few missed games which could have given him the chance to finish closer to Alan and Dean, but you won’t hear Ewan complaining. Under his guidance, the Blackhawks finished up as the top seed from the MEC as they toppled the Giants in spectacular fashion. Simon Denning finishes the season with an excellent final tally of 49 TDs. Despite missing a few games, Simon has been surgical for a lot of the Honey Badgers’ season. They’ll be disappointed not to have finished in a play-off spot, as they’re a squad loaded with talent. Simon will surely be one of the top QBs to watch out for in the second tier of BAFA league football next season. 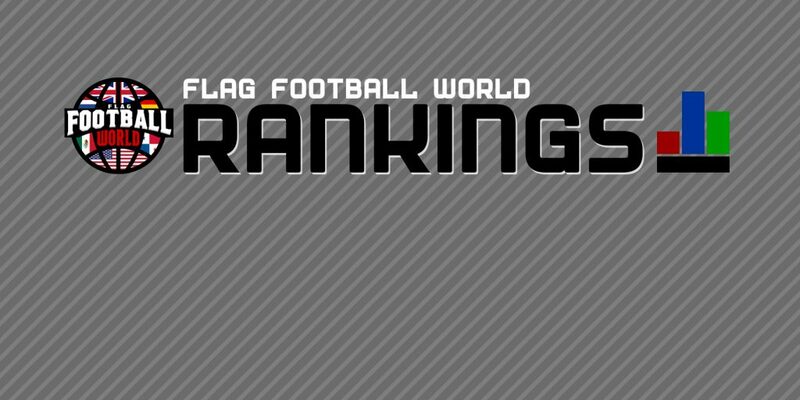 Here’s how the rest of the top 10 finished up!